How to enhance your experience, when visiting haunted houses and other Halloween attractions. The internet is the fastest and easiest way to find haunted attractions near you. To find Illinois events, you can visit our Halloween Event Directory. It has powerful search features, allowing you to filter the list of events by zip code, region, event type, handicap accessibility, cost, date, event name and city. Know before you go. 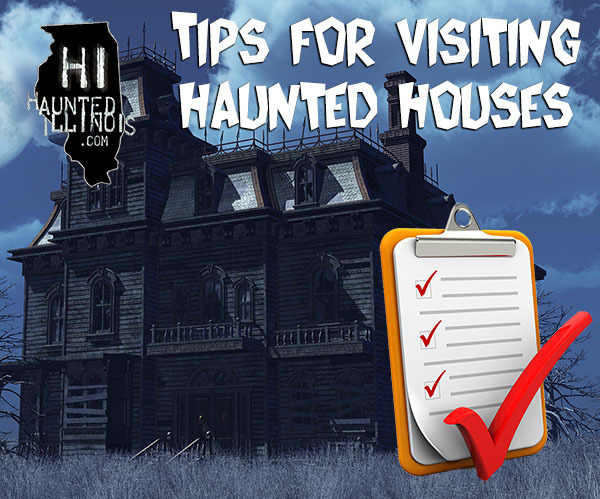 Visit a haunt directory or the event's website and use the listed contact information to verify their dates and times of operation. There is nothing more disappointing than driving for two hours, only to find that the haunted house you were looking forward to isn't open. When you arrive at a haunted attraction, don't expect to get in right away. Haunted houses are very popular during the month of October, so you will most likely have to wait in line for a significant amount of time. For some of the more popular attractions, it isn't unusual for patrons to have to wait more than two hours in line. If you have a long wait, make the best of it and enjoy your surroundings. 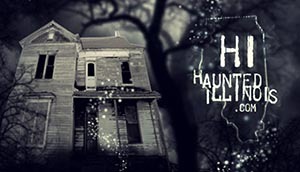 Many haunted attractions have various forms of wait entertainment, including themed waiting areas, roaming actors, horror movie clips and creepy music playing in the background. Spooky elements like this can really help set the mood, making your haunted attraction experience even better. Don't wait until the last two weekends of October to visit haunted attractions. Most haunted houses open the first weekend in October (some even open in September). If you go to haunted houses earlier in the month, you will see shorter lines and shorter wait times. Getting there early means that you will experience shorter lines. The later you go, the longer the line will be. If you really want to minimize your wait time, arrive at the haunted attraction before they open for the evening, before the long lines start to form. Friday and Saturday are the busiest nights for haunted houses, but many are open on other nights, as well. Seriously consider visiting on non-peak nights and you will see significantly shorter lines. As an added bonus, some attractions offer discounts for their non-peak nights. If you really don't want to wait in line at all, you are in luck. A lot of haunted houses offer online ticket sales that let you bypass the waiting line at their box office. Some also offer VIP tickets, so you can skip the box office and the queue line, and get in right away. Some haunted attractions have indoor waiting and others do not. It can get pretty chilly in October. If you have to wait outside, dress appropriately for the weather. Also, since you will probably be doing a significant amount of walking, wear comfortable, sturdy shoes. In many attractions, you will have to walk on uneven surfaces (especially haunted trails), so wearing flip-flops or high heels is probably not a good idea. This is the most important tip on this page. A lot of work goes into creating these haunted attractions, so go out and enjoy all they have to offer!